John Ackerman was removed from the crew before leaving the States. 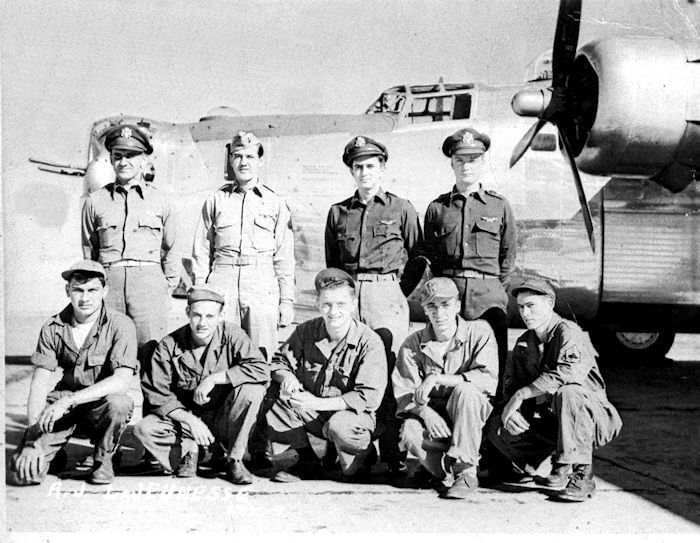 The LaJeunesse Crew arrived at Horsham in November 1944 and had completed 30 missions in 5 months, ending their combat flying on April 25, 1945 - the last operational combat mission flown by the 458th Bomb Group. 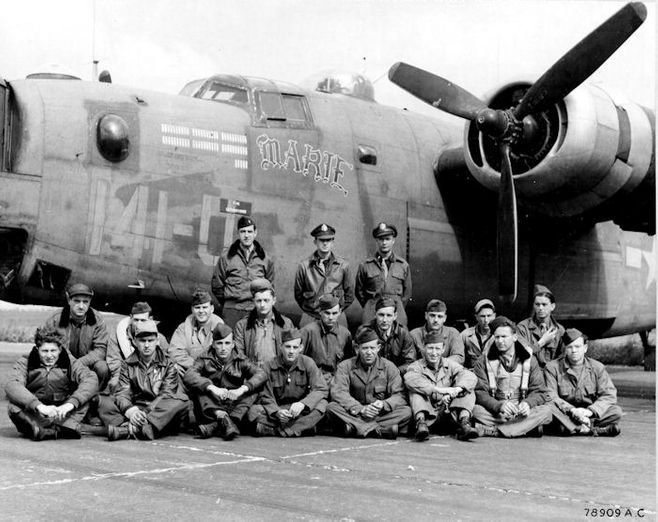 Not quite completing a 35-mission tour, it is very possible that they were assigned to ferry a Liberator back to the U.S. in June 1945. If you can identify others in this photo, please contact me.